Price is per 14.5-inch strand of these beautiful beads. Super-shiny polish! Each measures a large 25mm x 18mm x 7mm, drilled throughout ready to thread - about 15 beads to the strand. 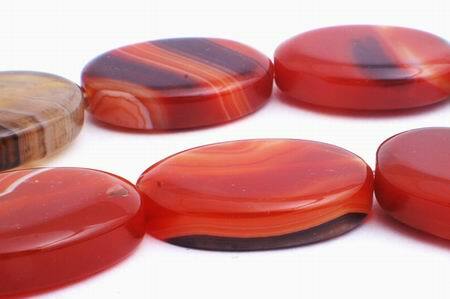 Note: as these are natural, pattern and colour will be different on each bead.